Police say a new strategy aimed at using social media and technology is the reason for a significant reduction in burglaries at several San Jose neighborhoods. The Almaden area has seen burglaries drop by 71 percent. Police add as much as a 75 percent drop in burglaries have also been reported in other problem neighborhoods. The San Jose Police Department's burglary unit has been slashed to a handful of officers, each assigned to hundreds of cases. Standard police procedure kept any video or suspect pictures out of the public eye until there were no more leads, even if it took weeks or even months. "Well you have to remember when we put that information out it could cause the suspect to do a few different things," said Lt. Paul Messier with the financial crimes unit. "They could flee the area, they could change their appearance or they could destroy the evidence." But now police have a program that puts images and surveillance video on the department's public website and on social medial almost immediately. Investigators said they were startled by the public response, with tips pouring in on numerous cases. Police said six suspects have already been identified from the last 10 videos posted. 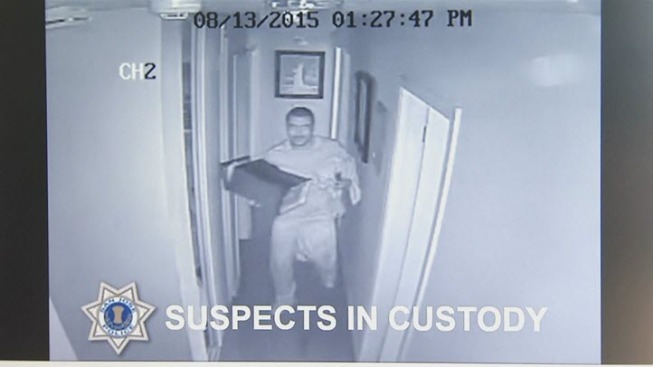 "These individuals are committing multiple burglaries," Messier said. "So by getting one of these subjects into custody, we're in essence preventing dozens of burglaries from happening." Police said they hope the extra community involvement will encourage homeowners to upgrade security cameras, which would in turn strengthen evidence. "Very good quality video is what we need," said Sgt. Mike Montonye, a detective with the burglary unit. "We've seen a nearly 30-percent increase in video evidence that has been submitted by the public to us." Detectives said the only drawback is the new program is generating a huge number of leads that need to be checked out, which taxes an already understaffed unit. In addition, future budget cuts are looming in the spring.